The AFS and YES program have made my life take a new turn because I have been able to realize my potential and my capabilities as a young person. It has empowered me to be able to have critical thinking, clear decision-making and it has enhanced my skills in leadership and effective communication. AFS and YES have enabled me to pursue more knowledge of not only what concerns me, but also what concerns the well-being of other people. Back in my community, in the rural areas of Embu, Kenya, there have been two major issues. The first problem is poor sanitation. The local community of approximately 700 people does not have a sanitation facility and relies on the sanitation facilities of the Don Bosco Embu School which I attended. Yet these facilities themselves are not in good condition. The second problem is that the people surrounding our school have frequent water shortages, and although there is a river which runs across the village, only the school utilizes it. The school uses this river water by pumping it and treating it for the school’s use. I saw that this service could be extended to locals so that they too could have this basic need fulfilled. Don Bosco Embu School is a secondary technical school, which in addition to academics, offers training to students to learn technical skills. There are departments that teach motor vehicle mechanics, carpentry, electrical, welding, and masonry. Thus I knew that there were the skills in my school to build a water distribution facility for the community. While we were not able to bring water directly to homes, people could come to get clean water for home usage. This was the best option because it ensured proper monitoring of water usage and people would be assured of clean water which was fit for use. In the past, if the river water was not boiled beforehand, it increased the risk of waterborne diseases so the water distribution project improved the standards of healthy living by providing clean, pre-treated water. I applied for a YES alumni grant and started working on introducing the project to my community. My team and I went to the neighborhoods. I also spoke to the administration at Don Bosco School and found everyone was willing to assist with the construction. Additionally, we were fortunate to have the technical students volunteer by providing their knowledge and skills in the area as well as help with the heavy labor. Around five students from the masonry department came to help full-time while the rest of the students came to help during the weekends and the school holiday breaks. We were also privileged to have the skills of some Belgian engineers who helped us with the architectural design and implementation, and with erecting the water distribution facility. They taught us how to make interlocking blocks. These engineers bought two tanks to act as water reservoirs for rain water to be used when there are repairs and maintenance of the water treatment facility and they even secured some additional funds for us from the Belgium government. The assistance of the Belgian engineers reduced the cost of the whole project greatly. 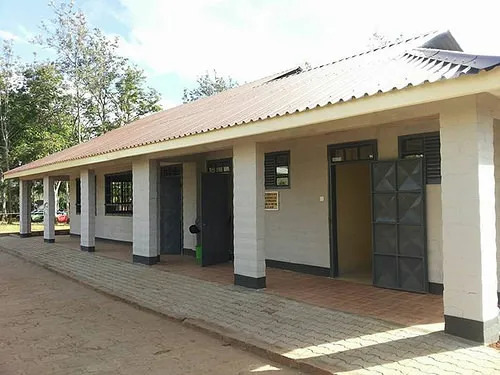 A celebration of the completion of the Embu water distribution facility took place on October 10 in a colorful event with the high school band providing celebratory music. The celebration was attended by the students and faculty of the Don Bosco Technical Secondary School, representatives of the town as well as the AFS and YES volunteers, staff and alumni. My greatest hope for the long-term is that people will be able to come up with more ways of solving their problems and that the project will act as a stepping stone for other projects initiated by the students and the community. I also wish to see this project instill in the people a sense of critical-thinking and a sense of helping others in order to make the society and the world a better place for living. I worked with an amazing group because the students offered their time to be part of the change. One thing that I learned is that for things to be successful there has to be teamwork. I have had an opportunity to learn how to be part of a growing society and I’ve learned and that in every good effort there are always great people to support you. I have also learned how to come up with better projects which promote not only setting goals but improve the point of view of life and its challenges. My overall reflection is that in a growing society we only have two options to choose from: we can be the change we strive to see, or the problem we hate to hear. My sincere appreciation goes to God for enabling me to complete this project. I am thankful to the YES Program for giving me yet another opportunity to make an impact in the lives of those close to me. My gratitude also goes out to AFS Kenya, Mr. Stanslaus, who was my area coordinator when I was a YES student in the United States. 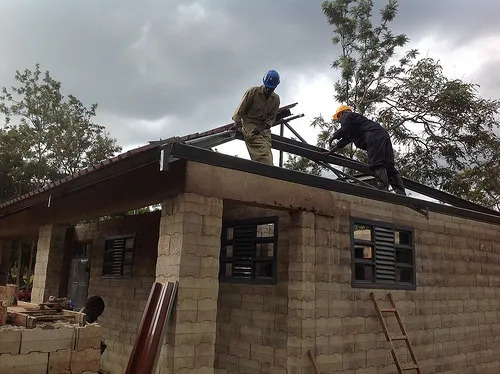 Without the support of the Salesians of Don Bosco Embu who include the Rectors of Don Bosco Embu, Father Maina and Father Richard and also Mr. John, the project would not have been completed. The generosity of our new Belgian friends was a good fortune for all of us. I also thank my fellow students in Embu, especially the masons, Mr. Makori, and everyone who has helped me through this exciting and challenging project including my host uncle, Terry Little in the United States, and my guardian brother, Wekesa Kenneth.